The announcement was clear: "It is very important for Corvette, to offer the strongest, most high performance and best sports car in terms of handling in the USA ." With these words the former chairman of General Motors Rick Wagoner set his engineers a clear goal around two years ago, which also included trumping the Dodge Viper SRT10, which was shown at the Detroit Car Show shortly before, in all regards. The technicians got to work and so the next year the persons responsible were able to proudly unveil the quickest and highest performance series vehicle ever produced by General Motors: the Corvette ZR1. Under the sheer endlessly long bonnet of the ZR1 lurks a newly developed LS9 6.2 litre small block V8 with compressor supercharging. Pressurised by the Eaton R2300 compressor with up to 0.72 bar, this primitive engine gets up to 647 HP and a maximum torque of 823 Nm. 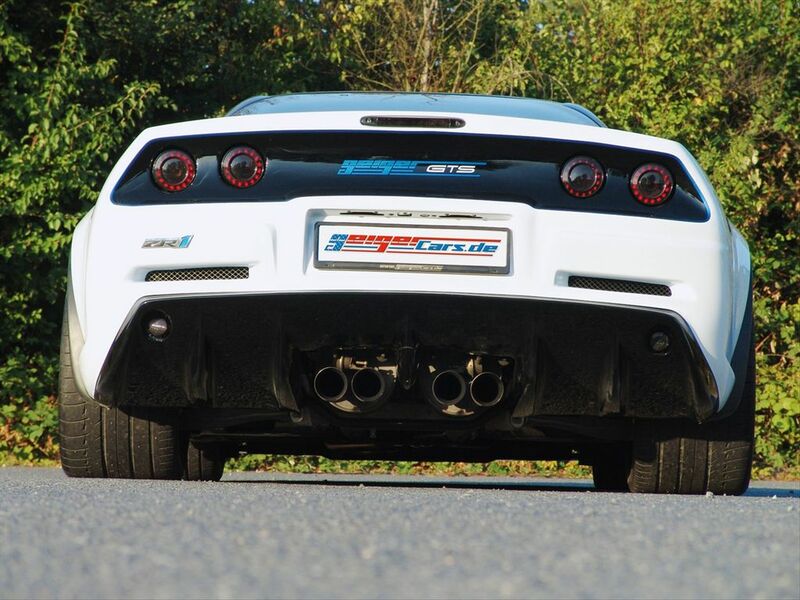 Further technical highlights of the extreme Corvette are its high performance breaking system with their 394 and 381 mm diameter carbon ceramic discs, as well as the electronically controlled suspension "Magnetic Selective Ride Control" with track level suspension mounting. Bonnet, roof, sill, rear wing and front spoiler are made of super light, but at the same time high strength carbon. 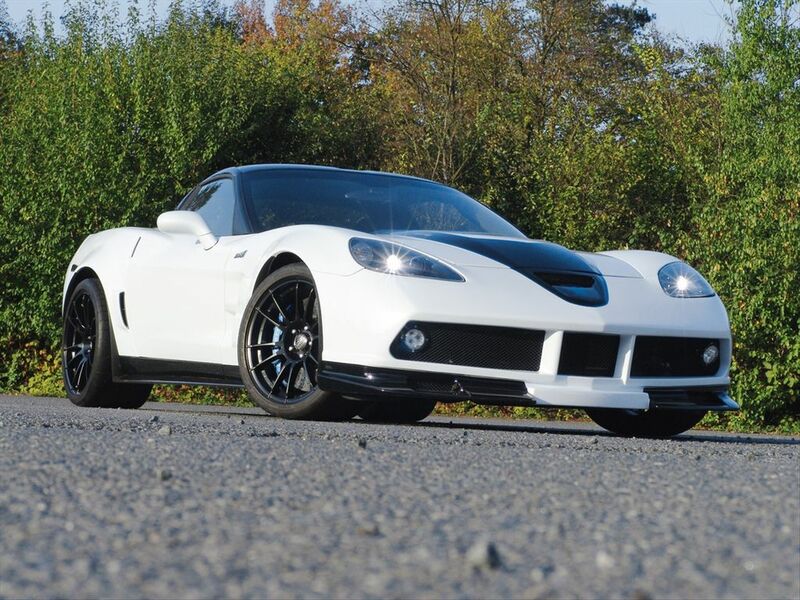 GeigerCars.de from Munich, which has specialised in the import and refinement of US cars for years, has not only brought this extreme sportsman from the United States to Germany, it has also optionally subjected it to diverse tuning measures at the same time – the first example of the Corvette ZR1 "Geiger GTS" will be presented to the world public at the 63rd International Automobile Exhibition at Frankfurt am Main from 17th to 27th September. 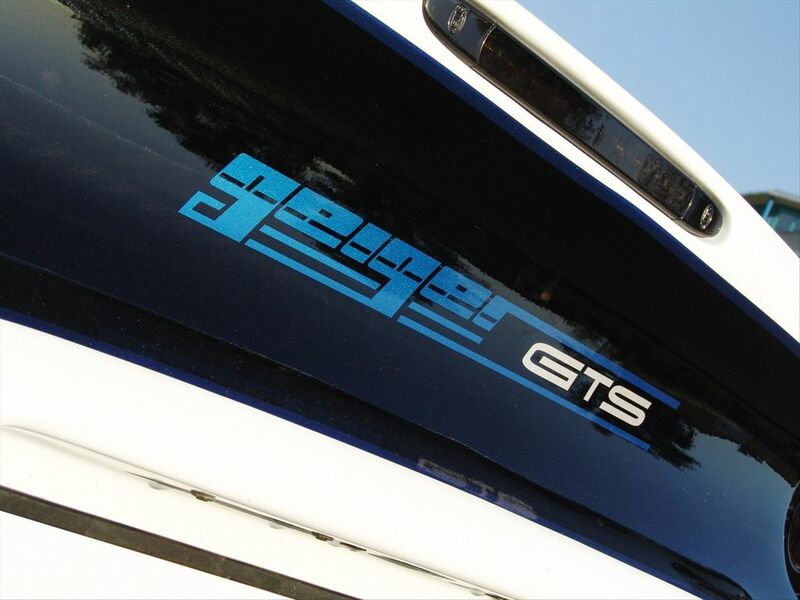 The datasheet for the Corvette ZR1 "Geiger GTS" shows 710 HP maximum performance with 6,600 rotations per minute and the car produces gigantic 918 Nm on the crankshaft at only 4,200 revs. Set up in this way the ZR1 storms up to 100km/h in just 3.6 seconds, and at the same time nails the back of the occupants' head to the head rest of the Geiger carbon sport seats. The propulsion only ends at a speed of 342 kilometres per hour. 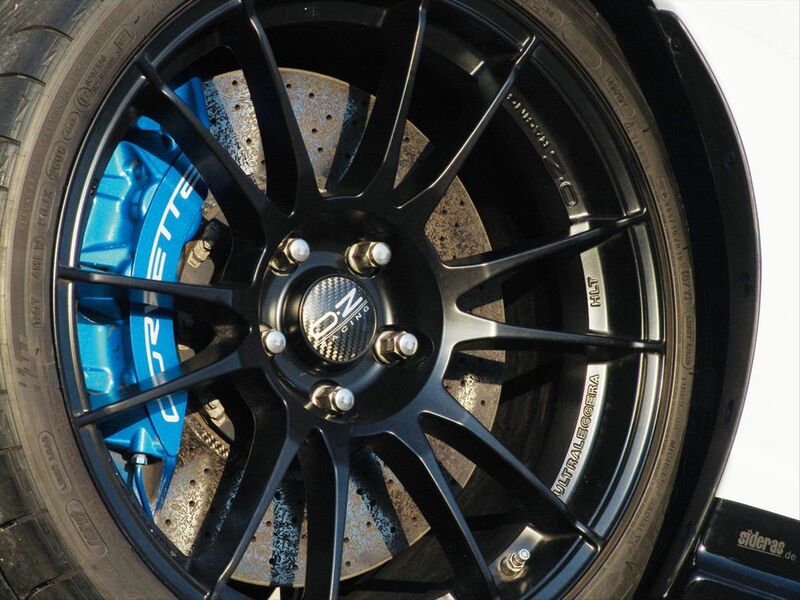 At these values the hardest work is done by the 10 x 19 and 12 x 20 inch high performance tyres mounted on light metal rims with the dimensions 285/30ZR19 at the front and 345/25ZR20 at the rear tyres. Of course GeigerCars extensively modified the look of the Corvette, lending it a styling, which is reminiscent of the large Gran Turismos of the 60's and 70's. The front and back were extensively modified; a wide air vent dominates the nose, while a massive diffuser attracts attention at the back. 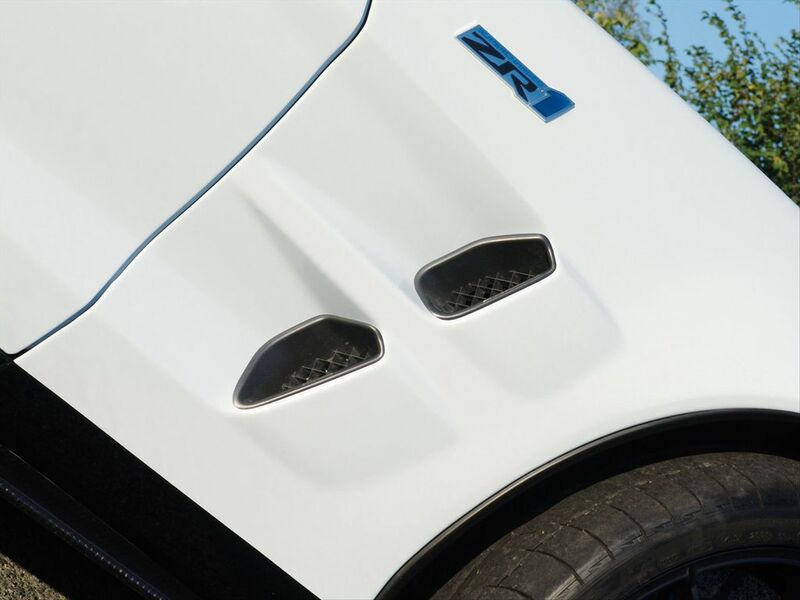 Both the fog and rear lights are based on modern LED semi conductive technology. The three layer mother of pearl varnish of the Corvette ZRI "Geiger GTS" with changing colour play is also a real eye catcher.